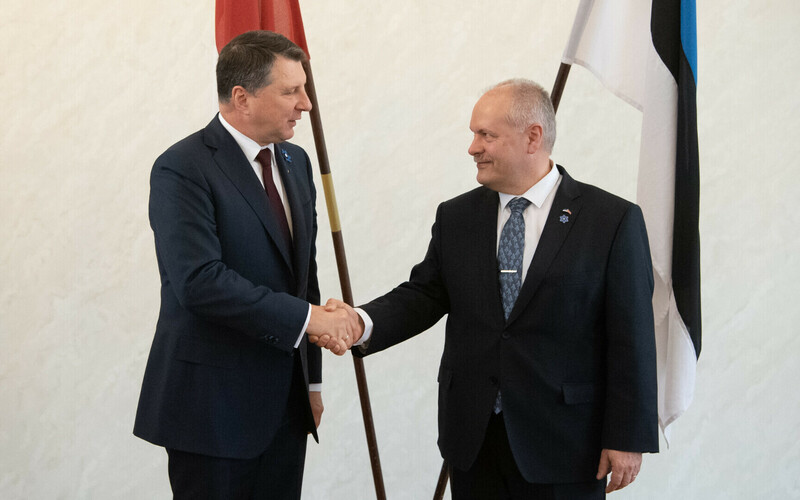 President of the Riigikogu Henn Põlluaas (EKRE) on Wednesday met with Latvian President Raimonds Vējonis, who is currently on a three-day state visit to Estonia, his last as the Latvian head of state. At their meeting, Mr Põlluaas and Mr Vējonis' discussion focussed on regional cooperation and the excellent relations between Estonia and Latvia, according to a Riigikogu press release. According to Mr Põlluaas, Estonia and Latvia are good partners and cooperate closely across various fields. "We have a similar history, our economic connections are strong, we have close cultural cooperation, and we are interested in having both closer digital cooperation and closer cross-border cooperation," he emphasised. Mr Põlluaas believes that Estonia and Latvia also share common values in the strengthening of the security in the region as well as in NATO, which is demonstrated by the establishment of NATO Multinational Division Headquarters North (HQ MND-N) in Ādaži, where the command is comprised of officers from Denmark, Latvia and Estonia. Also discussed at Wednesday afternoon's meeting were public services in the border regions, opportunities for improving the cross-border cooperation between Estonia and Latvia, as well as regional connectivity. The Latvian head of state congratulated Mr Põlluaas on his election as President of the Riigikogu. 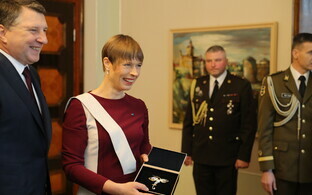 He assured the Estonian speaker that Latvia is a good friend to Estonia, and agreed that the two countries have much in common in history and current cooperation alike. 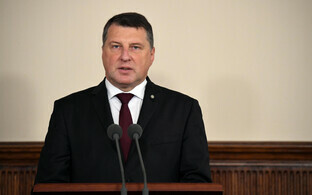 Mr Vējonis observed that cooperation between the three Baltics states is constantly developing, and is very effective and necessary.